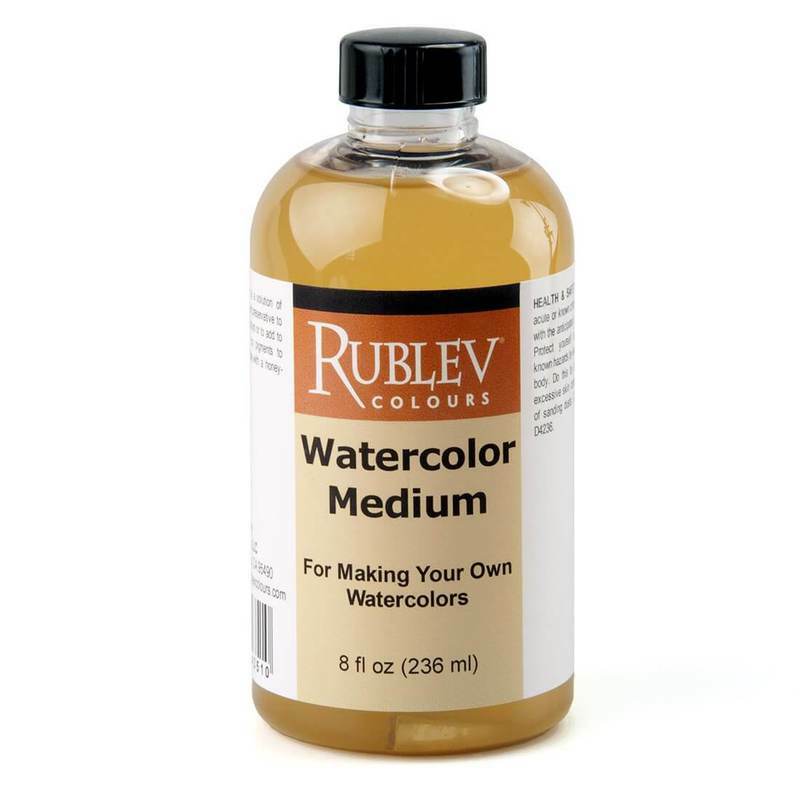 Rublev Colours Watercolor Medium can be used to make your own watercolors with powdered pigments, dilute colors and to add gloss to watercolors. Watercolor Medium is a solution of gum arabic, syrup, glycerin and a small amount of preservative. Maintains watercolor's transparency and brilliance. Use it to increase watercolor transparency and brightness or to improve adhesion and spread the brush stroke. Mix with dry pigments to provide a smooth, water-soluble paste with a honey-like consistency. This is the basic medium we use in our own watercolor paints. Disperse pigments in this medium by placing a small amount in a pile of dry powder pigment and then mull to creamy smoothness. Also use watercolor medium to dilute dried watercolor paint. Works well with any watercolors. Note: Best if stored in a refrigerator after opening. Store away from light in a cool location.